You can file an amended return if you make a mistake on your tax return. 1. Does Filing for an Extension on Taxes Flag an Audit? 2. What Does It Mean if the IRS Is Reviewing My Return? 3. Does Amending Taxes Red Flag Them for Audit? Few people enjoy dealing with the Internal Revenue Service, especially regarding a tax return audit. Preparing your tax return correctly and on time helps you avoid audits and paying unnecessary money in taxes. Some errors are common among taxpayers. Knowing what not to do with your tax return and the errors that raise a red flag with the IRS can help you avoid penalties. One thing you do not want to do with your tax return is to prepare it with incorrect information. Something as simple as transposing the digits of your Social Security number or forgetting your signature can cause delays with the IRS. Other incorrect information that can lead to problems include claiming credits and deductions that are not applicable to you. If you believe that you are eligible for a credit or deduction, keep all necessary supporting documents as evidence. Avoid claiming the wrong status on your tax return. The IRS rules are different for single taxpayers than married couples filing jointly. Your status is determined by December 31 of the filing year. For example, if you got married in February of 2013, you cannot file as a married couple on your 2012 tax return. You also cannot claim a new baby as a dependent if he is born after the December 31 deadline. Another thing you don't want to do with your tax return is file it late. The IRS can penalize you for not completing your tax return by the deadline. If you feel that you need more time, you can request an extension by filing Form 4868. If approved, you can receive a six-month extension. It is important to note that the form does not give you an extension on money you owe to the IRS. You must call the agency to work out a payment arrangement. 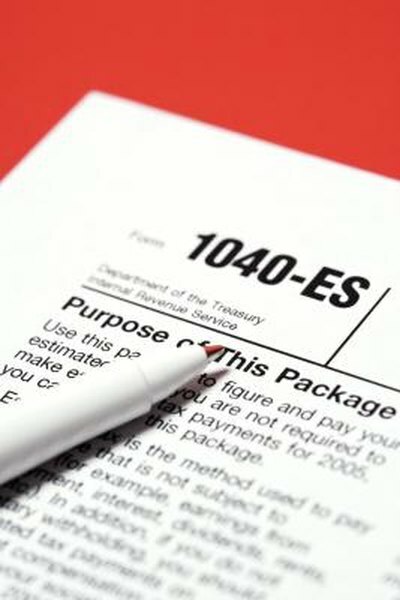 The IRS offers many tax deductions to help taxpayers owe less in taxes or receive a tax refund. You should avoid taking the standard deduction if itemizing your deductions works to your advantage. Tax deductions allow you to reduce your taxable income and potentially reduce your tax liability. Although taking a standard deduction is easier and faster, you may lose out on saving money if you have lots of deductions, such as mortgage interest and home business expenses. You need to include all forms of income on your tax return. For example, if you work as an independent contractor in addition to your full-time job, you must include your earnings on your tax return. Other common types of easily omitted income include interest and dividend income. A large reduction of income through a deduction can raise a red flag. For example, if you earned an adjusted gross income of $40,000 but deducted $25,000 in charitable contributions, the IRS may ask for proof of your charitable giving. Can I Change My Taxes if I Forgot a Deduction?